Facebook recently “upgraded” their interface while Google+ officially opened their doors to the public last week. With many users complaining about the changes to their settings and profiles on Facebook, would you seriously consider switching to Google+ as your primary social network? 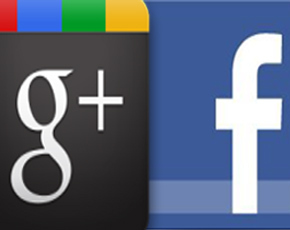 Many of us love to hate facebook, is that going to help Google+ become a successful competitor? Dawn.com invites its readers to give their view and suggestions. Google+ will take some time in attracting people from Facebook since the latter has developed too much loyalty; hence switching from it is going to be tough. Although Facebook is frequently changing it’s user interface these days, it is much more user friendly than that of Google+. Lastly, rather than targeting Facebook, Google+ first has to compete with lower tier competitors such as Twitter and Orkut. Face will be restricted in Pakistan soon as per order pass by CJ than obviously a substitute in the shape of google+ will be adopted by many for social networking and friends updates…..
High levels of privacy settings in facebook features surely does makes it a huge flop, since social networking means meeting new people which aint happening no more. If google+ has the features whatever required by me for sure i will switch. Well Google has moreoptions, and comparing it as a single product for all your resources for Internet and local desktop…Googles comes on top. but i don’t see history repeating it self in case of google+. They have introduced some nice features but the reality is any new social network will have to work their b**t off to catch facebook where they are now. Please check your facts. None of the companies you mentioned have ‘disappeared’. IBM is very much the largest IT and Mainframe Computer and Software company in the World. None of these had any social media groups. So the reference and msinformation is totally unfounded. You’re obvioulsy getting your news from the wrong sources. If google have to beat Facebook with its social network alone, well then that seems impossible for now. Facebook is one old social network, people have already built contacts their, so it would be real hard for g+ plus to pull the people off of Facebook. Also G+ is not much advanced yet, they have yet to offer more interactive games, pages, groups etc. Also Facebook page gadgets and like buttons are all over the web. It seems to me that G+ beating Facebook is not happening for now, unless 1. something drastically goes wrong with FB and 2. G+ offers some real good features with drastically improved/advanced features. For now Facebook will remain in lead for sure. No, I really isn’t. Instead I always appreciate the facebook UI team for their hardwork and the work they are doing for us to better use of site. I like the new notification’s less email, new activity bar on the right hand side and the new profile (on available to facebook developers rite now). People always resists whats come new , its human nature . People hate those what they don’t want to learn. Start learning new things, you automatically start loving things.. I firmly believe Facebook will maintain its cake! Google+ needs time to become popular with the general public.. but before that there is twitter which needs to be picked up by most of Pakistan.